Newsflash: Marathon Swimming Legend Shelley Taylor Smith is running a series of special swim clinics in the Hamdan Sports Complex in Dubai on the 24th, 25th and 28th September. Don't miss out if you live in or close to Dubai - you might have seen Shelley on our Catch Masterclass DVD and she is an incredibly inspiring athlete, coach and mentor! 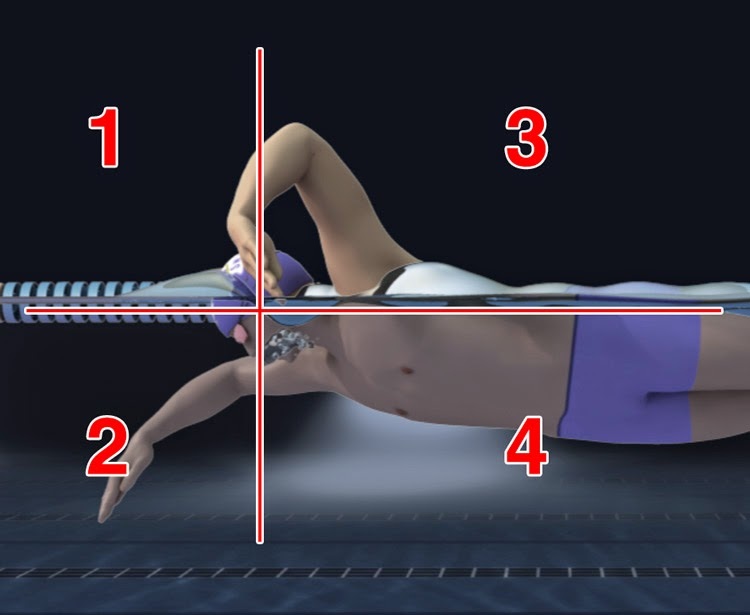 Front quadrant swimming simply means that there is always one of your hands in one of the front quadrants (1 and 2) at any one point in time. Or, put even more simply, when your hands pass above and below the water, that should happen in front of your head, not behind it. Clare's arm is collapsing downwards whilst she is breathing giving her no support in front of her head and making breathing much harder than it needs to be. If you swallow water when you breathe this is likely to be the reason - try the one-two-stretch mantra here. To achieve this position you must hold the hand out in front of you with a long pause-and-glide whilst the other hand fully catches it up. 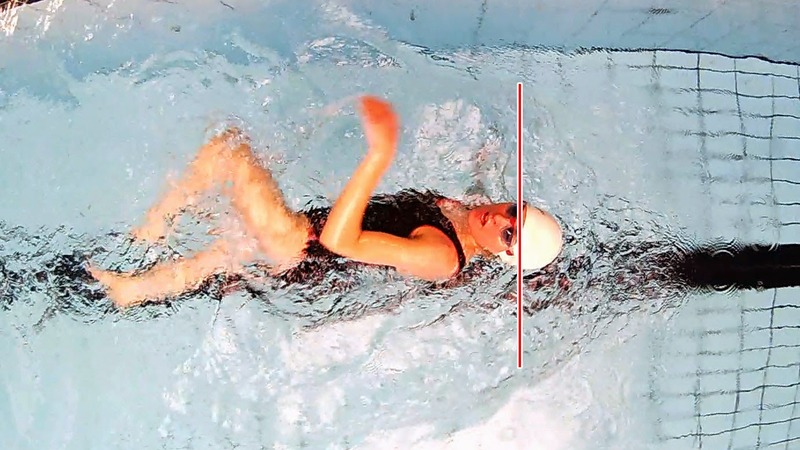 This long gap between strokes (we call it Overgliding) is very inefficient as you simply decelerate in the water whilst trying to glide and then have to use the next stroke to get up to speed again. Pause-and-glide timing also leads to common stroke flaws such as dropping the wrist and putting on the brakes and the overglider kickstart. This catch-up timing is technically still front quadrant as the hands do pass in front of the head but it is really taking things to the extreme - it is not what was meant by front-quadrant-timing when the term was created. The key thing here is that even if you tried to do this deliberately you would find it very hard to do - it feels very extreme when you do it and it's unlikely you'll do it naturally, especially if you've been working on your stroke technique for a while. Try It In Front Of A Mirror! If you're finding thinking about what both arms are doing in the stroke at the same time a little mind bending, don't worry, it is! One of the best ways to get a feel for it is to stand in front of a mirror, bend forwards slightly and perform some practise strokes. Try and reproduce your natural stroke as closely as possible and see how your hands pass each other. If they pass in front of the head (even if only slightly in front like Tim and Shelley) then you're doing fine! Our central point here is that the danger of windmilling is much over-stated. 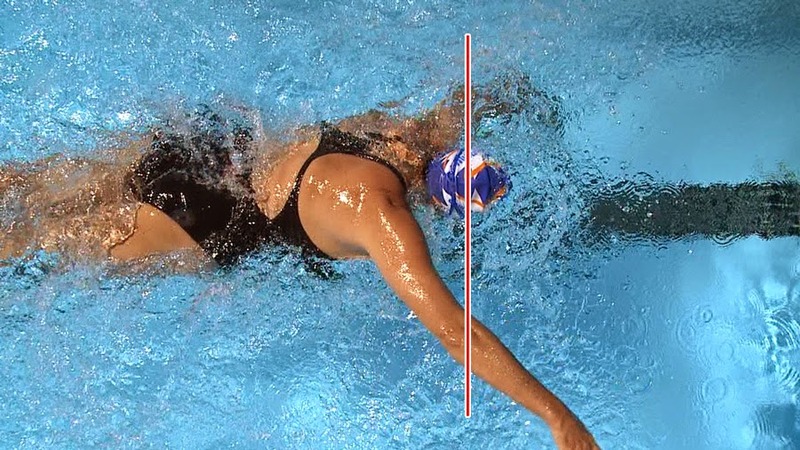 In most instances where the hands pass behind the head the reason is related to breathing and poor awareness of what the lead hand is doing (as with Clare above), not because the swimmer is windmilling in the traditional sense. 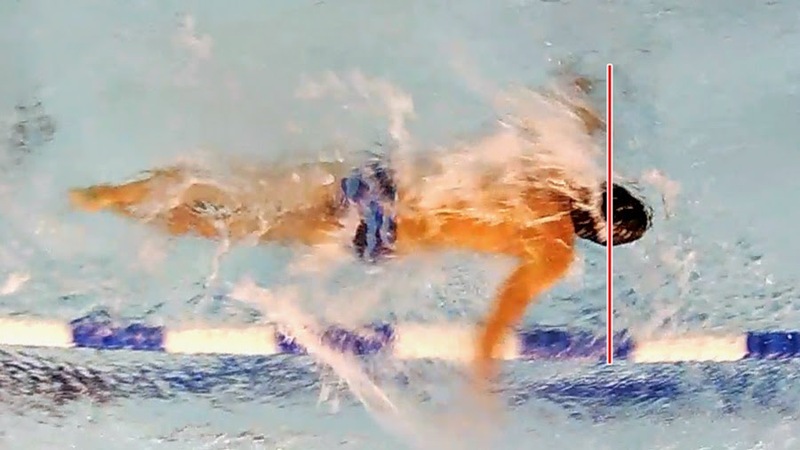 A far greater risk is taking things to the opposite extreme and adopting a full catch-up style of stroke. This is a very inefficient stroke style and a very difficult habit to break once developed. Instead, work on developing all aspects of your stroke technique in a balanced way including: breathing, body position, alignment, kick, catch/pull technique and rhythm. Do that and the resultant stroke is almost guaranteed to give you good front-quadrant timing without you directly focusing too much on it. Breathing Bilaterally In Races - Harder Or Easier? 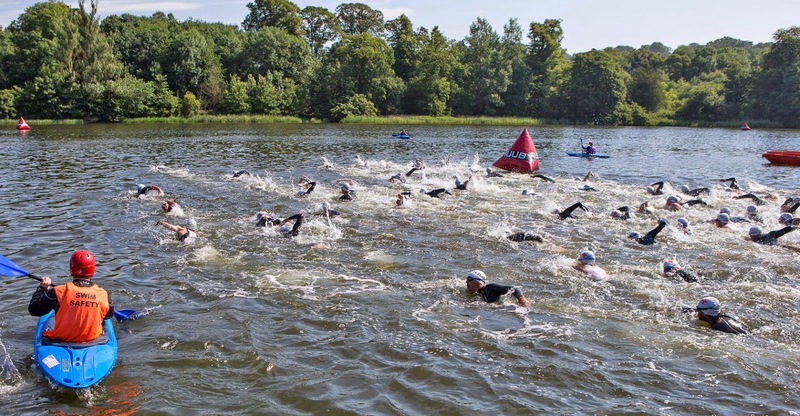 Something that is commonly said by swimming and triathlon coaches is: Breathe bilaterally in training to keep your stroke balanced but in races just breathe to one side, you need the oxygen. 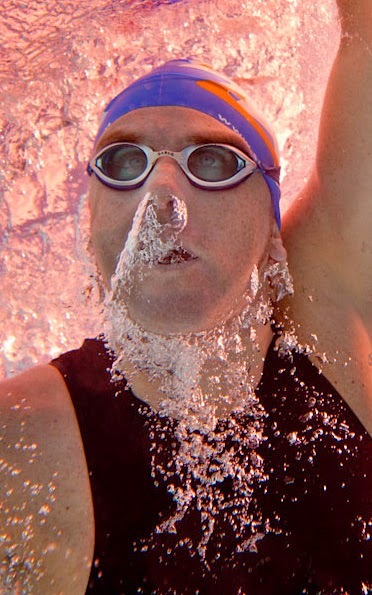 Certainly breathing bilaterally in training is a great idea to help keep your stroke technique symmetrical but will you be faster breathing to one side in races? Is it good advice or not? How should you breathe here? The irony is that swimming in a wetsuit actually reduces the oxygen demand for swimmers because the body is held higher (reducing drag) and the swimmer barely has to kick. This is true at all levels of effort, including race pace. 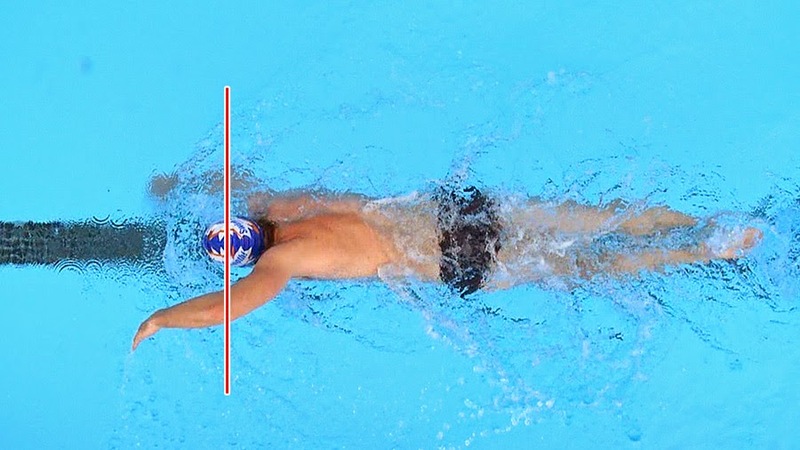 If you're not convinced by this, try bilateral breathing in the pool with and without a large pull buoy to simulate a wetsuit - how does it compare? 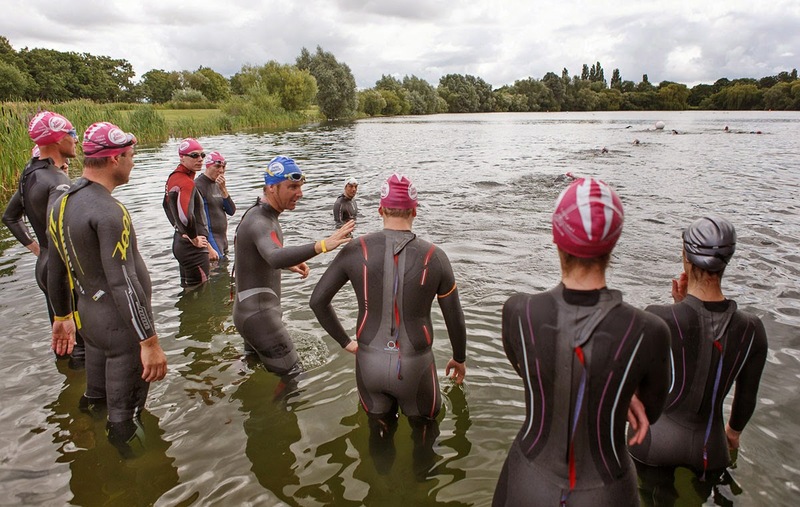 Or even better, try swimming in the pool with your wetsuit on at your current race pace (no faster) - most swimmers are surprised to find they can breathe every three strokes pretty easily doing this, even at target race pace. 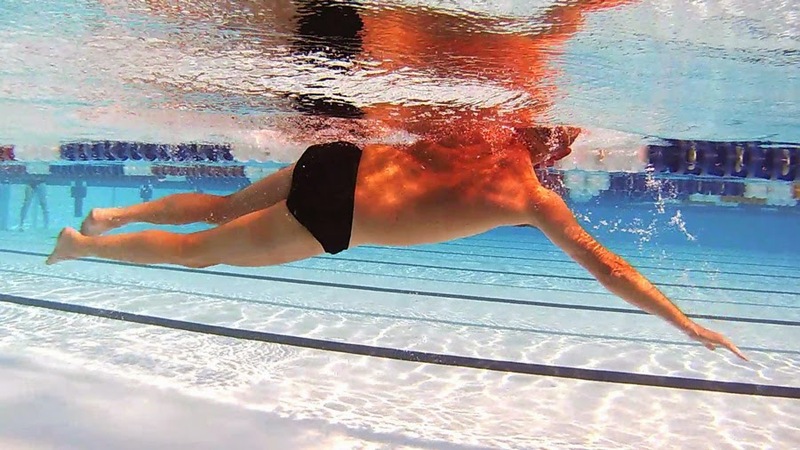 As well as reducing kicking effort, the extra speed from swimming in a suit lifts your stroke rate, meaning your breaths come around more frequently. It's interesting to take note that when you feel short of air it is not the lack of oxygen you are feeling but the build up of CO2. That's why it's key to เกมยิงปลา HappyFishingexhale into the water whenever you swim to blow it out into the water - leaving you feeling much more relaxed with your breathing. For most swimmers breathing every three is about the right length of time to get rid of the CO2 from their system, breathing every two just isn't long enough and causes an uncomfortable build-up in your lungs and bloodstream. Breathing every three is breathing less frequently than when you cycle or run but the oxygen demands of distance swimming are lower than cycling or running because the you're using smaller muscle groups. Plus exhaling into air is easy, blowing out into water is harder and takes longer to achieve. breathing patterns in open water. 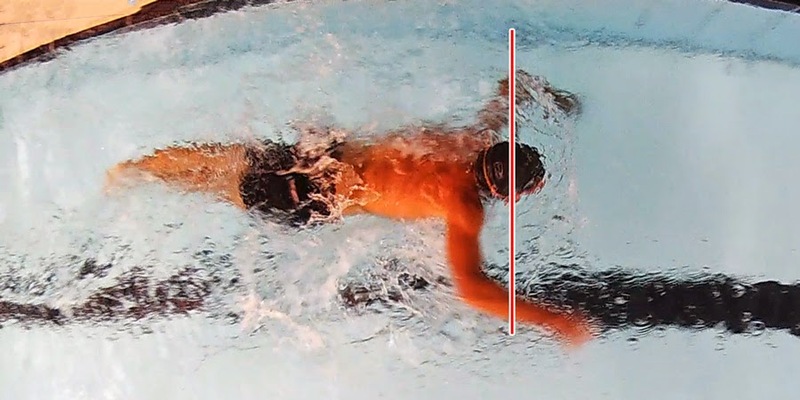 - Flaws appear in your stroke when breathing which reduces speed - so less breathing means more speed. 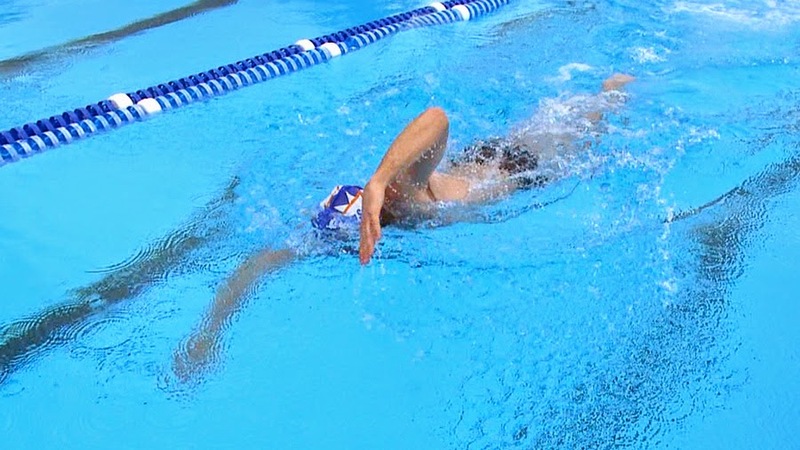 - Breathing regularly to both sides keeps your stroke symmetrical even within the duration of the race, helping you swim much straighter, as we have seen previously on the blog (here and here). 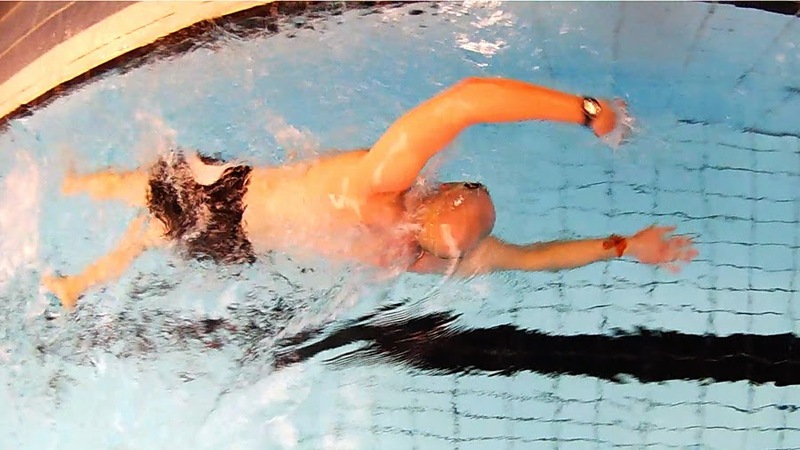 In fact it's common for athletes to swim 10 or 20% too far by moving off course, losing them huge chunks of time. - You can keep a strategic eye on what's happening to both sides of you, allowing you to pick up on more drafting opportunities or to spot break-aways. When you train seriously for a sport you make a lot of sacrifices. To get yourself into great shape takes time, dedication, hard graft and quite likely avoiding all the foods (and drinks) you really want to consume. At Swim Smooth, that means cutting back quite considerably on our natural level of cake intake. 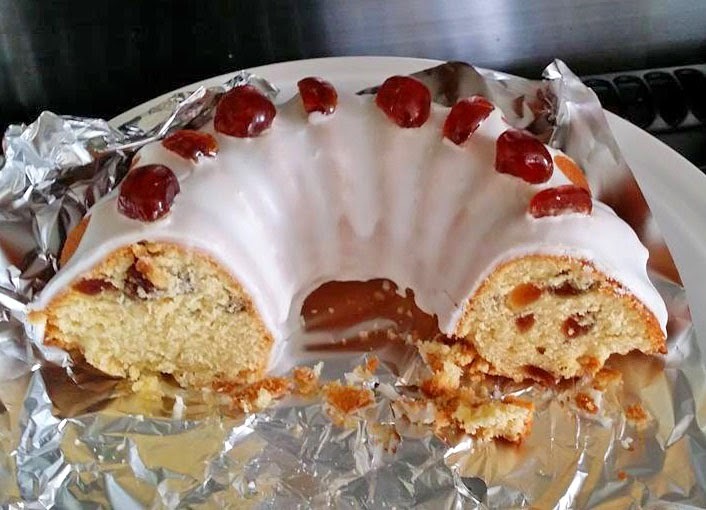 If you have reached the end of your racing season then don't be afraid to cut yourself some slack and reward all that hard work with some additional cake, just for a week or two. Soon enough you'll be back into your off season training and will quickly burn off those extra calories but in the meantime break those chains for a while - it's good for your soul. It doesn't matter if you didn't quite hit your goals or got beaten by your arch-rival. You're recognising the effort you put in, not the outcome, which is an important and positive distinction to make. 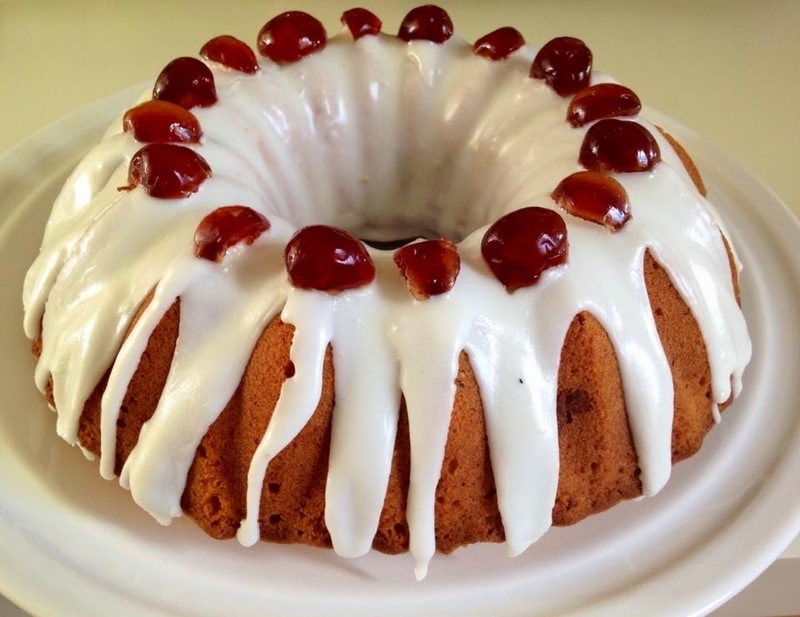 Of course you may prefer to substitute cake for a juicy steak, ice cream or even a glass or two of red. Enjoy it for a short while - you deserve it.